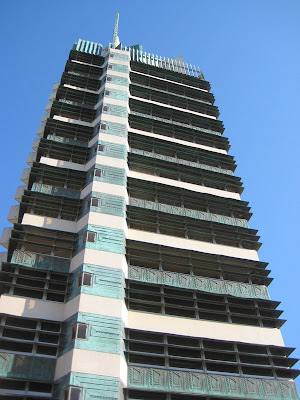 Did you know that Frank Lloyd Wright only designed one skyscraper that ever got built? And that the skyscraper in question is the Price Tower in Bartlesville, Oklahoma? Yeah, me neither. I found this out walking about the Tulsa airport. It opened in 1956 and by today’s standards, it’s damn short, only 19 stories. It’s pretty cool looking though, especially with all the funky copper details. The place is very cramped compared to modern buildings. For it being a skyscraper, it feels quite claustrophobic. The elevators there are teeny tiny and old. 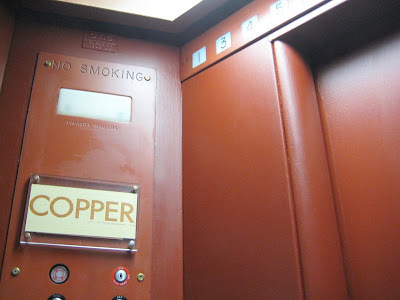 There is a bar/restaurant towards the top of the building called Copper. They serve drinks and some food from a fairly small menu. I wasn’t inspired by it so I didn’t stay and eat. 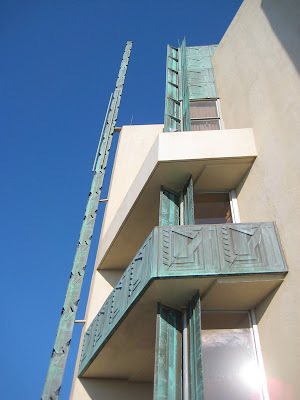 But it’s a pretty cool building to see and you get some really great views from up there. Other than the Guggenheim, this is the only Wright building I’ve ever been to. Who would have known such coolness would exist in Bartlesville?